So this year I have decided to challenge myself to make a set of cards, scrapbook page or journal layout using each of my stamp sets as I know I have some I rarely use! This week’s stamp is Handcarved and I used it with Brushos and inks to created a pretty and multicoloured background on Sunday. Today I decided to use some inky backgrounds up and created this card using the stamp in black with a digital image as the focal point. I am pretty sure that the background was made with spectrum noir aquatints but it could have been Dylusions? ?? Who knows! There is a bit of pattern through a stencil but it is not very good. So instead I added the handcarved in black ink. This made the background far more graphic and funky. The Tiddly Inks houses I had printed out a long time ago and so they were to hand. I added the bit of colour to the image using Promarkers then layered it all up. The sentiment was from a random magazine set. I do love the handcarved stamp and need to remember to use it more often… but it is not going anywhere. This is defintely a stamp I am keeping! 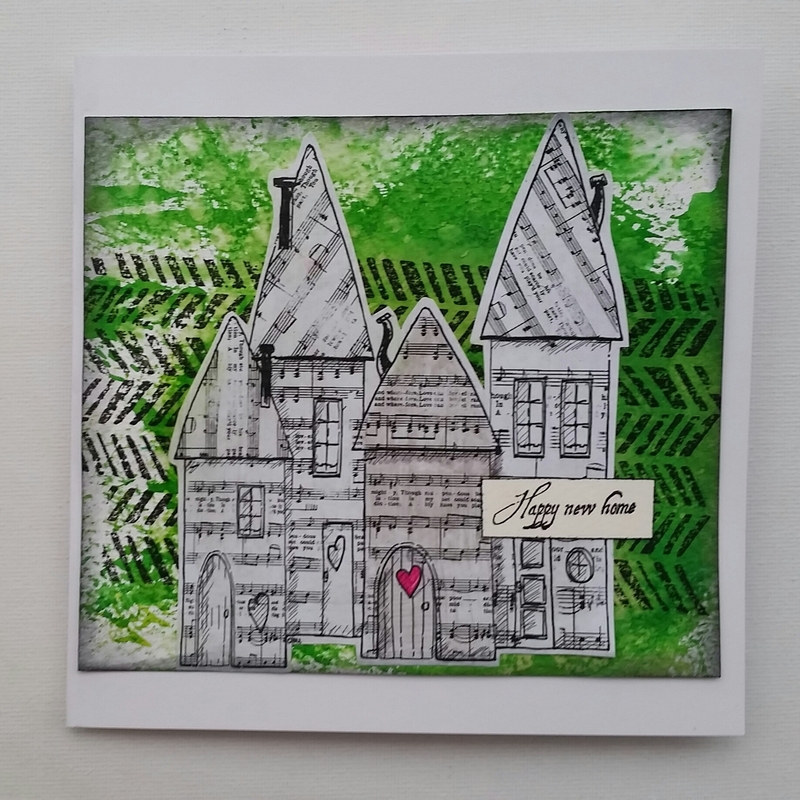 What a fab card and I am loving your challenge idea. It’s one I think I should take up too! !